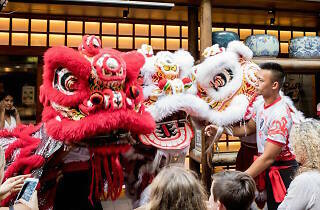 Head to Kensington Street on February 9 and you’ll find a buzzing neighbourhood party celebrating the Year of the Pig. While some might been drawn in by the food and drink specials available at Spice Alley or the DJ sets enlivening the laneway, others will be heading straight to the petting zoo to meet lucky piglets. The oinkers will be there with their baby moo friends and and little lambs, so you hang out with the whole barnyard. Handpicked Wines will be also running the Pigs and Pinot experience, where for a small donation to an animal welfare charity, you can try a tasting flight of wine while you cuddle Babe. 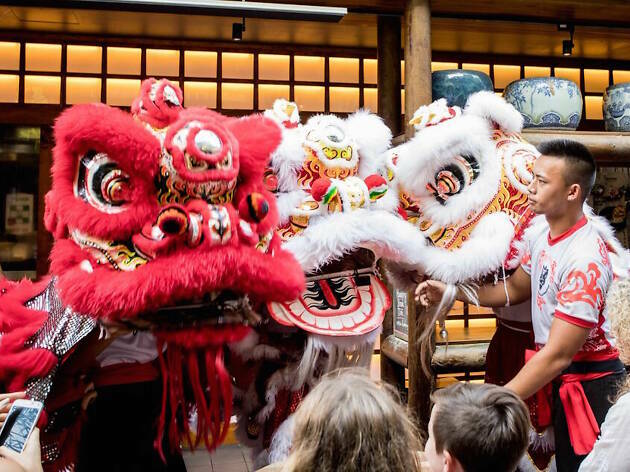 Other entertainment on the day will include traditional lion dancing from 5pm, community performances, workshops in lantern making, origami and calligraphy, plus a treasure hunt – look out for red envelopes and find dining vouchers and gift cards to popular restaurants in the precinct. If the kids weren’t already having enough fun, there’s also a whole zone dedicated to little ones with games, workshops, face painting, balloon animals and more.